dsc’s European Spirit of Racing award winner, Henri Pescarolo, was featured heavily in Ouest-France yesterday (February 22), writes David Legangneux. 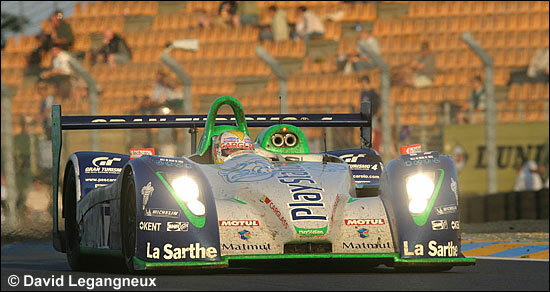 Pescarolo Sport’s two cars for Le Mans this year will look very similar to the 2005 hybrids, but there will be a lot of small details changed, the Judd GV5s will be the evolution versions, and there are gearbox changes too – Henri made his feelings known about his gearboxes last year. There’s a brand new carbon tub at Pescarolo Sport’s workshop – to replace the one (#04) damaged by Soheil Ayari (bottom photo) in last year’s 24 Hours (this one now residing in the museum at Le Mans). 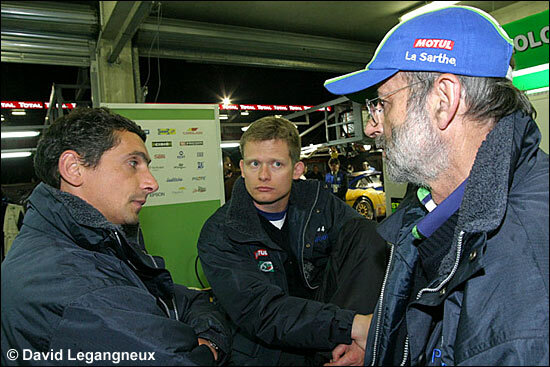 "The past month, we have tested a lot of small things on the aerodynamics, but also to speed the repairs,” says Pescarolo, in the French newspaper. “The rear axle, behind the gearbox, will be able to be changed in a few seconds. Today, all these evolutions are nearly validated. 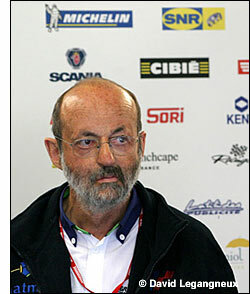 The new parts will be made in Italy." This is the rear end of the 2005 car. He suggests that the regulations are “favourable” towards the new Audis. As regards sponsors, the team keeps La Sarthe, Matmut and Total, and Henri expects to keep PlayStation, and if that is the case, Sébastien Loeb will drive at Le Mans again. The new version of the Pescarolo C60 will be shaken down at the beginning of March, then will do the LMS test days at Paul Ricard on March 25 - 26. Collard and Boullion (below) will be at the wheel of the first car, while Hélary and Loeb will be in the second car.